Several months ago my Mom sent me a link to an NPR article on homemade creamy limoncello. I've had limoncello before, but never creamy limoncello. It looked easy, so I decided to make it for the holidays. This doesn't take very much actual hands on time. It just takes some planning. The rinds soak for a week, but in a pinch you can soak them for 48 hours. I ended up soaking mine for 9 days - the longer you soak them, the more intense the flavor will be. Limoncello is meant to be served chilled. It is best to store the limoncello in the freezer. It won't freeze because of the high alcohol content. I used Everclear. If you can't find Everclear, you can use 100 proof vodka. I ordered the bottles from Speciality Bottle when I ordered the vanilla extract bottles. I ordered the labels from My Own Labels and matched them with the vanilla extract labels. *We used Everclear, which comes in 750 ml bottles. You will need to buy two bottles of Everclear for this recipe, but you'll use only about 1 to 1 1/2 cups of the second bottle. Peel lemons and oranges, being careful not to include any white pith or pulp. Place peels in a bowl and cover with alcohol. Soak for 1 week on the countertop. After a week, strain lemon and orange alcohol and discard peels. Pour into a heavy-bottomed, large saucepan. Add milk, sugar, whiskey and vanilla. Bring to a boil, then reduce until just bubbling and cook for 5 minutes. Stir continuously, and keep a close eye on it so it does not boil over. Remove from heat and let cool completely. A thin film will form on top of the limoncello. Skim it off and discard, then pour thorough a fine mesh sieve. Pour into bottles and freeze. Keep in freezer at all times. Shake before using. I made Limoncello last year and it was just too darn sweet. I used 80 proof vodka and should have used everclear. I'm loving this creamy version. Thanks for all the resources on home made labels/bottles etc. Merry Christmas Stephanie. Very pretty and another easy enough thing to make during hectic holidays! So glad to know you support the human fund! 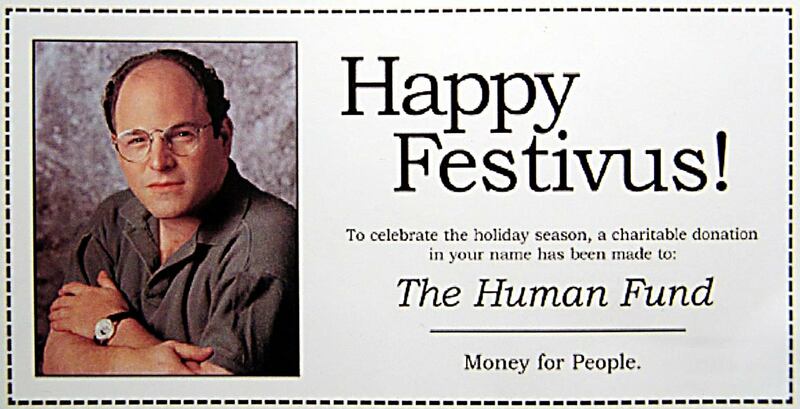 Happy Festivus! I love making infused liquor for the Holidays but have never tried Limoncello! This is a wonderful recipe and such a beautiful gift for famliy and friends! I just finished these to hand out at our annual christmas brunch tomorrow! The recipe was a bit sweet, but was very easy to double. Awesome gift idea! !